The arrival of autumn has us all looking ahead to winter, and as hairdressers we see the effects of the colder weather on hair. The severe cold can dry out hair making it coarse. Damp days can produce frizzy unruly hair. When hair is difficult to manage we often use excessive heat when styling which damages hair even further. Monitoring your hair’s condition during winter is highly important; you don’t want the cold weather to catch up on your locks. As in the summer, it is important to take extra steps to keep your tresses looking nourished and healthy – after all no one wants their hair to show signs of the cold snap! Changing up your usual hair care routine to meet its needs during the confusing weather will help to keep it in check. Having your hair cut regularly will help to reduce damage to hair and removing weak ends will make your hair look much healthier overall. Intensive conditioning is also an effective way to look after your hair. Our online shop has a range of products that will prevent your hair from becoming difficult to manage. 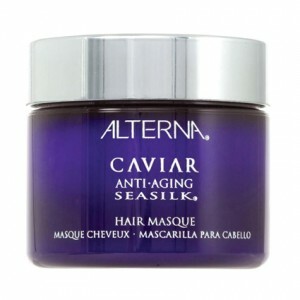 If you find that the winter months age you hair and make it look dull then the Caviar Replenishing Moisture Masque would be perfect for you. With anti-aging technology helping hair to look younger and much fuller, it restores coarse, damaged hair to a healthy and easy to manage condition. Colouring your hair is known for its damaging properties and this can be made much worse during cold weather. A treatment to counter this and help nourish coloured hair is the L’Oréal INOA Colour Care Mask. Protecting and prolonging the colour as well as moisturising the hair more intensely than a normal conditioner, it leaves locks looking luxuriously shiny. The winter can dry out hair as the cold weather reduces the natural moisture within the strands making it difficult to style and rough to the touch. 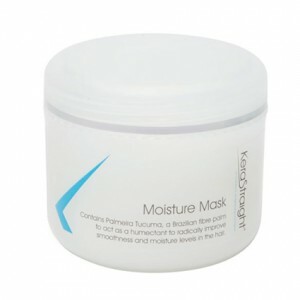 If you feel that winter dries out your hair the KeraStraight Protein Mask treatment would help. Highly concentrated with light-weight proteins, a protective layer is formed over the hair, restoring damaged ends and keeping it protected even after use. All the masks mentioned above should be applied over all of your hair, left for a few minutes then rinsed. We recommend carrying out a deep treatment once a week for best results. For a much more effective outcome masks can also be left on overnight, perfect if you have a big event or party and want your hair to be looking its best. Rinsing hair the next day allows the for a much more intensive treatment, hair is left feeling incredibly nourished and glossy. Working these treatments into your weekly hair care routine will prevent hair from becoming damaged and showing signs of the cold weather. Pairing each of these treatments with their matching shampoo and conditioner will increase the intensity of the nourishment and prolongs the results of the treatment. Browse our online shop for even more winter treatments. All of our products are available for purchase from our salon too. For more information or advice on how to care for your hair during winter do not hesitate to contact us, email us at enquiries@haircarebyyorkshiresfinest.co.uk or call us on 01484 353 498 and we will be happy to answer any questions you have.